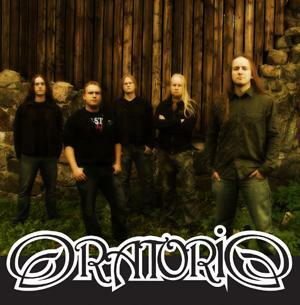 Oratorio is a great Christian melodic HEAVYMETAL band from Finland. Their debut album ORATORIO – THE REALITY OF EXISTENCE was released in 2004 and their 2nd album Redemption in 2007. Both albums are great metal with lots of power. 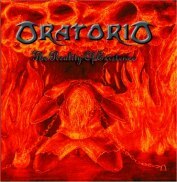 Oratorio plays melodic metal similar to bands like Altaria, Sentenced, Sonata Artica, Stratovarius, Children of Bodom & Iron Maiden. They have great power in their songs filled with excellent vocal melodies and tons of twin guitars. The band has been together as a band since 1998. This is how power metal is supposed to sound like. 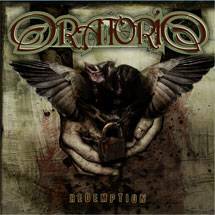 Their full length album from ORATORIO is a shredding materpiece from start to finish and their 2nd album released in 2007 is a natural progress for this great melodic metal band called ORATORIO. For fans of melodic powermetal bands like Rob Rock, Narnia and Seventh Avenue.